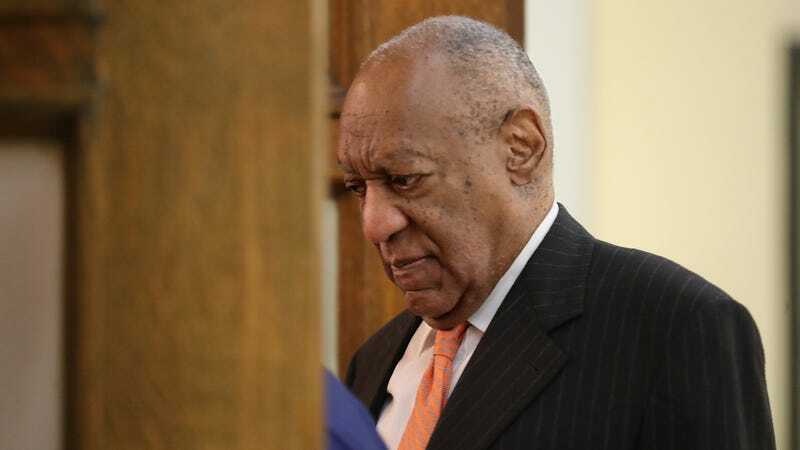 Bill Cosby’s re-trial entered its second day today, one marked by less outright spectacle, and more attempted character assassination and personal attacks on the part of the comedian’s defense. Cosby’s new attorney, Tom Mesereau—who once helped get Michael Jackson acquitted of charges of sexual molestation, and who was hired by Cosby after the first sexual assault trial against him ended in a deadlocked jury last year—went on the attack in his opening statement this morning, labeling accuser Andrea Constand as a “con artist” for accusing Cosby of drugging and then sexually assaulting her in 2005. Mesereau attempted to back those accusations with information about a $3.4 million settlement Constand received from Cosby in 2006. The existence of the settlement, but not the amount, was previously known; the case’s judge is being more lenient with information this time around, in the hopes of avoiding a second hung jury. In that same spirit, Mesereau will also be allowed to call a witness previously barred as “hearsay,” who says Constand once talked with her about a plan to trick a famous man into paying her a large sum of money. Cosby’s team aren’t the only ones being allowed to bring more witnesses to bear in the new trial, though; five of the more than 60 women who have accused Cosby of assaulting them over the years will be allowed to testify this time, as opposed to the only one who was allowed to speak previously.